Notorious protector of its intellectual property, Christian Louboutin rather famously filed suit against fellow luxury brand Yves Saint Laurent in 2011 for making red-soled footwear. Paris-based Louboutin has since launched a cosmetics division and is – somewhat unsurprisingly – suing to protect its rights therein. 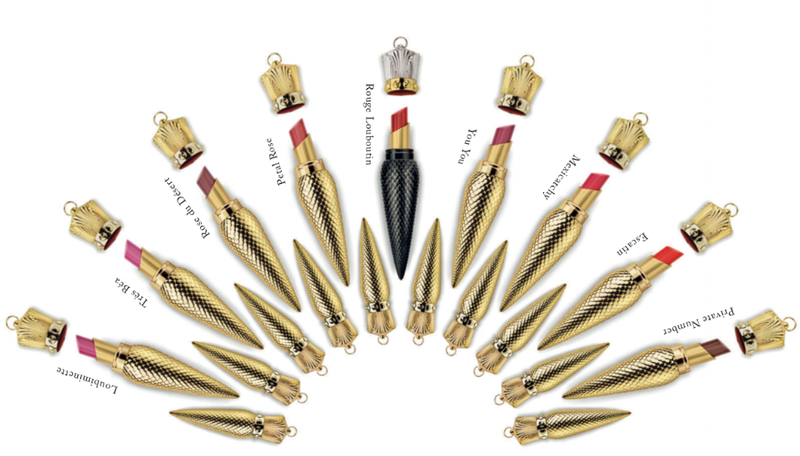 The latest battle comes out of China, where Louboutin’s bullet-shaped lipsticks are consistently being targeted by counterfeiters. According to Louboutin’s complaint, which was filed in the Guangzhou Intellectual Property Court in 2016, counterfeit versions of its design patent-protected $90 lipsticks were being sold on China-specific e-commerce sites at extremely low prices even before distribution of the products began in China. As such, Louboutin filed a design patent infringement suit, asserting that the defendant counterfeiters copied nine different Louboutin cosmetics products, infringing a number of its China-specific design patents. In addition to monetary damages, Louboutin sought injunctive relief to immediately and permanently prevent the sale of the fake cosmetics. And in granting a preliminary injunction in Louboutin’s favor, the case made history. Prior to the ruling, there were no specific legal provisions stipulating what shall be examined in order to grant or deny a preliminary injunction in China’s current legal system. Central to this inquiry – we now know thanks to this case – is whether irreparable damages may be done to the legal interests of the applicant (Louboutin in the case at hand) if an injunction is not imposed. “At the heart of the issue is non-monetary harm and immediateness of the threat,” according to Xu Jing, a partner specializing in intellectual property at King & Wood Mallesons. This is not terribly dissimilar to the standard in the U.S. In successfully making its case, Louboutin’s counsel argued that the brand needed immediate relief since its patent-protected products were being counterfeited even before the official products were distributed in the Chinese market and also because the prevalence of counterfeits impeded the implementation of Louboutin’s proposed sales plan for the Chinese market. Additionally, Louboutin argued that its reputation was being damaged by the widespread availability of counterfeits, and what it described as “malicious competition” posed by the infringing parties. * The case is Christian Louboutin vs. Guangzhou Verteam Trading Co., Ltd. et. al., Guangzhou Intellectual Property Court (2016) Yue Civil Judgement No. 1,2,3.